What happens when a man walks out of his seemingly perfect life? Thomas and Astrid live in a village in northern Switzerland. Thomas has a steady job, they have two children, a nice house and a marriage that seems to work. Until one evening, back from a holiday in Spain, they put the children to bed and sit outside with a glass of wine and the paper. Astrid goes in to check on the son, Konrad. Thomas leaves his unfinished glass of wine and walks out of the gate. And keeps walking. Astrid, in the meantime, goes to bed, thinking Thomas will follow. She doesn’t really notice his absence until halfway through the day. She makes excuses for his absence to his secretary and the children, hoping that he would come back. But he doesn’t, and she goes to the police. The book alternates between the two: Thomas, as he manages to survive with whatever he had in his pockets, staying out of sight, sleeping rough; and Astrid, trying to maintain an appearance of normality, especially for the children. She tracks down his whereabouts when he uses his credit card but he has already moved on. Thomas does not have any obvious motivation for leaving: the day he walks out is like any other. 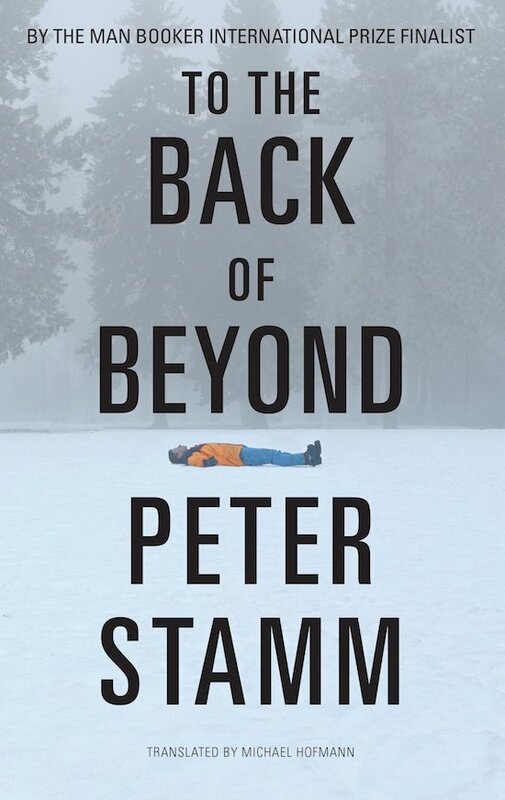 But Peter Stamm, in summing up Thomas’s life so far, gives you a glimpse of what he was escaping from: “he had functioned in the way expected of him, without it being ever discussed”. The freedom Thomas craves is the freedom from expectations. Now, wandering through the countryside, he lives in the moment, surviving in whatever way he can, with nothing to prove to anyone. Stamm’s writing is spare and deceptively simple. He describes the events dispassionately: there is emotion but for the most part it is kept just under the surface. The writing emphasises the way both Thomas and Astrid keep an emotional distance from their lives and from those around them. When their daughter Ella was a baby and cried incessantly, Astrid would sometimes leave her alone in the house and go and sit on a bench by the station. And in a strange way, she seems to understand Thomas’s need to leave. But the core of the book is the love between Thomas and Astrid. In an odd way, their relationship strengthens away from each other. Stamm has written an unusual and rather haunting book.